Pushing the Moon understands that your privacy is important to you and that you care about how your personal data is used. 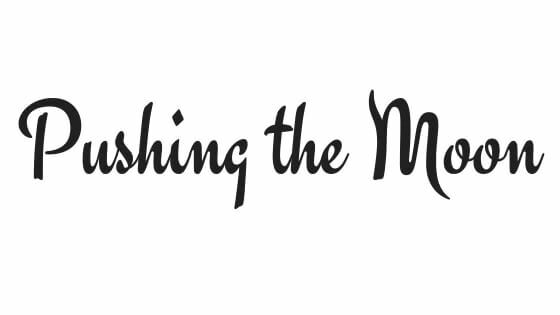 I respect and value the privacy of everyone who visits this website, www.pushingthemoon.com and will only collect and use personal data in ways that are described here, and in a way that is consistent with my obligations and your rights under the law. My Site is [owned and] operated by Catherine Lewis t/a RinWriting, a sole trader. [Supplying you with information by email that you have opted-in to (you may unsubscribe or opt-out at any time. I am a member of some affiliate schemes where if a reader clicks through on a link and then purchases an item I may receive a small commission, at no extra cost to the customer. Couldn’t figure out how to leave a post on your page for Five on Friday – what am I doing wrong? Read your blog with interest. Judy. Oh, well that is odd. I’m not sure why you couldn’t leave a comment on the post. I don’t know if anybody else has had similar problems. Did you scroll down to the very bottom of the post after all the other comments – that’s where the comment box is situated with the theme I’m using. I’m sorry that you were unable to comment ont he post – it’s very nice to know that you read the blog!